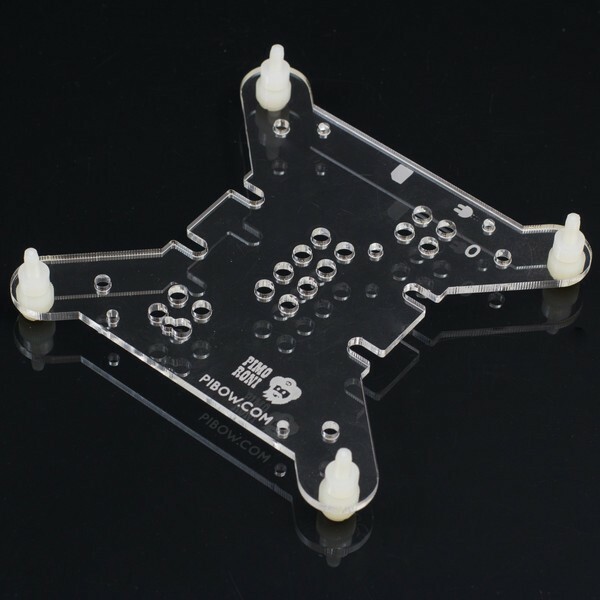 A replacement base layer for your Pibow that allows you to VESA mount it. The mount support 75mm and 100mm spacing mounts. This kit contains: 1x VESA Pibow Layer 0 4x M4 16mm Nylon Knurled Thumbscrews 4x 5mm Nylon Spacers (Raspberry Pi, LCD monitor, and Pibow not included). If you need any technical support, please visit Pimoroni forums.